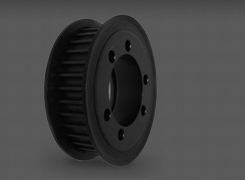 This narrow cross-section joined belt with aramid cords is for the industry’s toughest drives that have high horsepower and require higher tension and increased resistance to shock loads. Torque Team Plus® belts keep the tough drives going. The “Plus” refers to the belt’s special aramid fiber reinforcement, which, pound for pound, is five times stronger than steel. Aramid fiber treated with enhanced cord-to-rubber adhesions. Aramid® fiber provides greater HP capacity and resists deterioration due to environmental conditions such as salt air, moisture and other adverse elements. 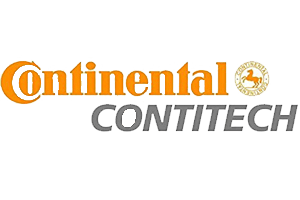 Our exclusive rubber compound provides superior performance, long service life and is the best in heat, oil, static and abrasion resistance. 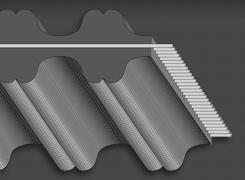 The envelope is a unique rubber compound that offers greater flexibility around smaller sheaves, which translates to increased horsepower and drive efficiency. The tie band backing is impregnated with our engineered compound to provide unmatched strength and stability. 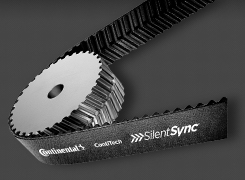 The high strength of Torque Team Plus belts provides exceptionally high torque capabilities and horsepower ratings. 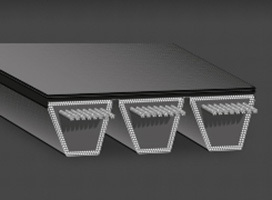 These high belt capabilities may exceed standard sheave capabilities. To assure safety and satisfactory drive operation, consult your sheave supplier for sheave recommendations.